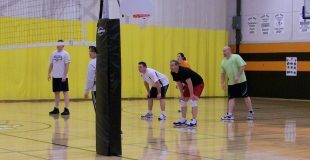 Our leagues offer an opportunity for adults to compete against others in a safe, fun environment. We offer recreational and competitive levels of play, so that everyone from a multi-year vet to a rookie can play. Our adult sports are registered by team. Any neighborhood, business, or group of friends can gather up and join us. Don’t have a whole team? 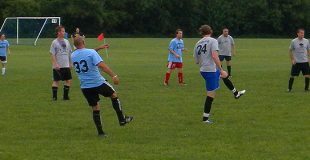 We take “free agents” and match individuals looking for opportunities with teams in our leagues. Please complete a Free Agent form if you are interested in playing. While we recognize that competing is fun, we emphasize sportsmanship and fair play in our leagues. Misconduct will not be tolerated. Team Captains are responsible for their team’s conduct. The Park District will share game cancellations and announcements though RainoutLine.com. You can view the program status online, sign up for text and/or email alerts, or download the mobile app. A quick link is located at the top of this site as well. 11v11 co-ed league. 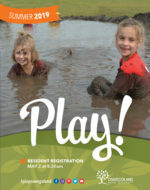 Games played on Sunday mornings between 9:00am-12:00pm at PrairieFest Park. Includes a post season tournament. Spring (10 weeks) and Fall (6 weeks) leagues. 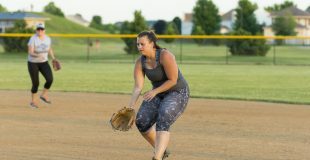 Double header format with a season-end tournament. Games held at Prairie Point Community Park. 6v6 indoor league. Three game sets with rally scoring to 25. Minimum of two women & two men per team. Plays Jan-May. A great opportunity to exercise and have fun too! Sunday mornings, basketball players 30 and up can come out for a few pick up games at Oswego High School. Adult Open Gym is available to residents and non-residents. You must provide your own basketball. Sundays, 8:00-10:00am Oswego High School $5 daily fee accepted on site.